See Images Below - Really Works! Restores Natural Hair Color, Reduces Female Chin Hair. 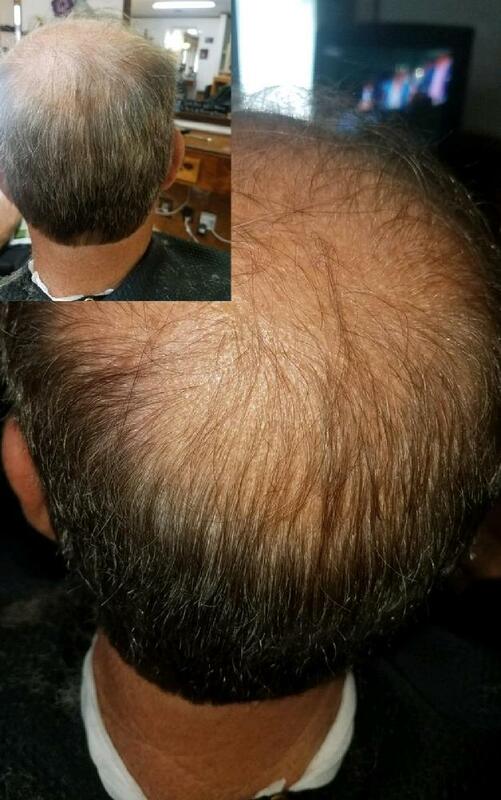 The men below have been using Rejuvenation Oil for 3 months. Generally, hair lost stops in five days, new growth begins in 45 days. however, professional photos are forth coming. "I know how fantastic information like this sounds, but it is all true. back its natural hair color in the areas that were previously white. learn about it and call us to order when ready!" Right photo below is new growth. 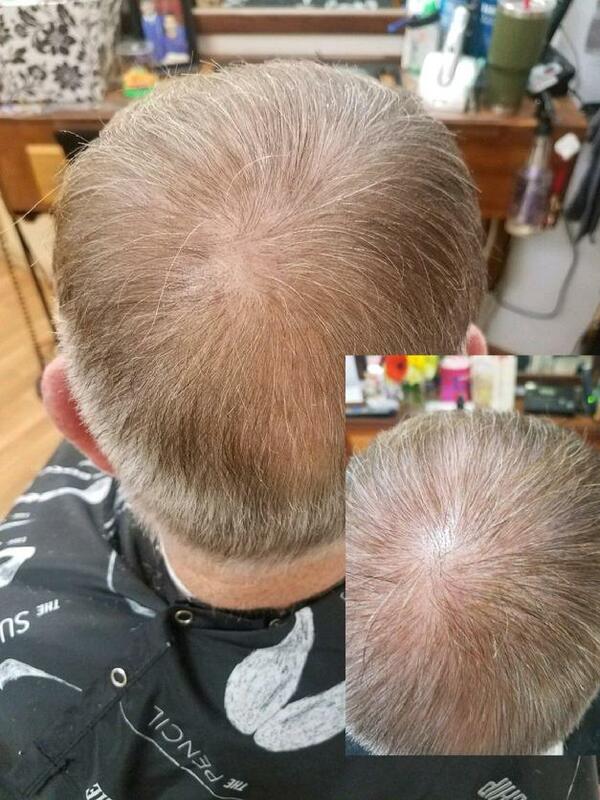 Below Right photo is new growth; Lots of new hair growth all over top of head. Below Left photo is new growth. God-Inspired "Rejuvenate Hair Essential Oil"
like his father and five brothers. God says, "Ask and you shall receive." And as you know God, He always gives you above and beyond what you ask for. white/grey that were his natural color. Raun has been using this God-Inspired formula for five months now. 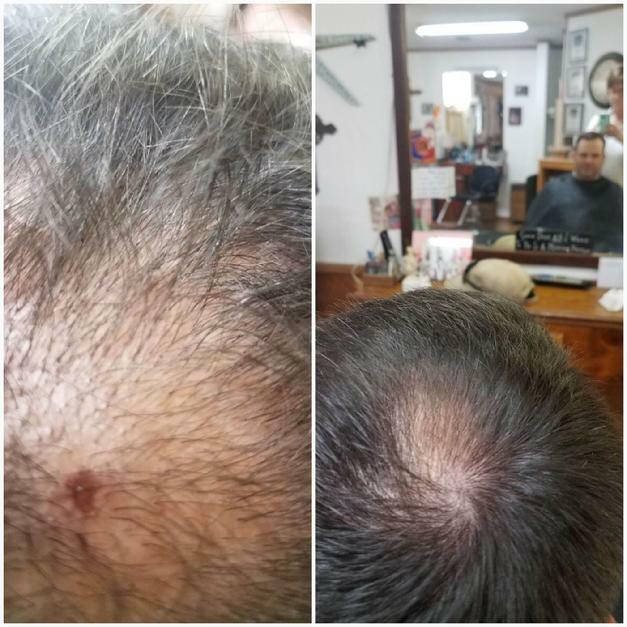 about 1/4 inch thick coming up from his scalp. That was 11/03/17. He also gave him a solution for growing new hair and growing back your natural color. Report from Dr. Donna F. Smith on 11/03/17.